Oppositional defiant disorder (ODD) is a behavioral issue most often diagnosed in childhood. The Diagnostic and Statistical Manual of Mental Disorders (DSM-5) lists it in the category of disruptive, impulse-control, and conduct disorders. ODD presents as a pattern of defiance, argumentativeness, anger, irritable mood, and/or vindictive behavior. For a diagnosis of ODD, the behavior must last 6 months or longer and occur with at least one person besides a sibling. Children with mild ODD might only show symptoms at home or with family. Some children show behavioral symptoms without anger or irritation. But children who have mood symptoms usually also show argumentative and defiant behavior. Children who have ODD tend to justify their behavior, often blaming outbursts on unfair rules or the actions of others. Recognizing co-occurring mental health issues is important, in part because ODD symptoms often improve when other concerns are treated. Symptoms that go untreated can make ODD more challenging to treat, and symptoms may get worse. An accurate diagnosis usually leads to the most improvement. Children with symptoms of ODD are often judged or viewed negatively because of their behavior. ODD may become a label to describe them. This stigma can have a negative effect on development and growth, especially when it stems from the (false) assumption that ODD can’t be treated. If parents or teachers decide a child is problematic or will always misbehave, they may not pay attention to them or try to help them improve. Children may continue to act out as a result, and their behavior may get worse. They may continue to struggle at home or school. Having trouble developing friendships and other relationships is common. Children may also frequently come into conflict with authority figures throughout life. If parents or teachers decide a child is problematic or will always misbehave, they may not pay attention to them or try to help them improve. Children may continue to act out as a result, and their behavior may get worse. ODD may be partially stigmatized due to a fear of outbursts, violence, or aggressive behavior. 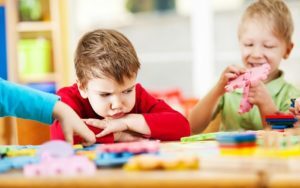 While it is not typically characterized by violence, children may throw tantrums, attempt to annoy others and provoke reactions, and be difficult to work with in other ways. Stigma, and the isolation that results, can contribute to serious concerns, including depression, suicidal ideation, and substance abuse. Stigma and myths about mental health issues often go hand-in-hand. Here are some common myths about ODD—and the facts to dispel them. 1. ODD only occurs in children. While ODD is most often diagnosed in children, teenagers and adults can also have ODD. Symptoms of ODD usually first appear in childhood. When they aren’t diagnosed or treated, they can persist into adulthood. Adults who have ODD typically show similar symptoms of anger and irritability. They might have difficulty concentrating, a tendency to hold grudges or seek revenge when they feel wronged, and a pattern of trying to control or disobey others. It’s common for adults with ODD to struggle in relationships and experience conflict with people in authority. Conflicts may lead to unemployment or legal concerns. 2. ODD and conduct disorder are the same thing. Along with ADHD, conduct disorder is the condition that most commonly occurs with ODD. Having ODD, especially severe ODD, also increases the risk of developing conduct disorder, which affects about 30% of children with ODD, according to the American Academy of Child & Adolescent Psychiatry. ODD involves irritable, argumentative, and defiant behavior. Those with ODD may defy or ignore rules or requests from authority figures, but behavior that’s violent or outright illegal isn’t common with ODD. Conduct disorder involves repeated violence, illegal activity, and/or disregard for others’ rights or property. 3. ODD is always a result of trauma. It’s not fully known what causes ODD, but experts believe the condition most likely results from a combination of factors. While ODD may occur after an individual experiences trauma, this is not always the case. Possible biological risk factors include family history of ODD, family history of mood issues, being exposed to toxins (including cigarette smoke), malnourishment, and brain impairment. Possible social risk factors include poverty, neglect, unstable home life, and lack of supervision and involvement from parents. Possible psychological risk factors include difficulty understanding social cues or developing relationships with peers. Having a parent who is frequently away or doesn’t seem to care is also a risk factor. 4. ODD is a result of bad parenting. It’s true that ODD is associated with absent or neglectful parenting, but children with loving and present parents can also develop the condition. Research hasn’t determined a clear cause of ODD, but it’s likely to result from more than just parenting style. Some children may be genetically more likely to develop ODD. Other mental health and developmental issues can also contribute. When children first show symptoms of ODD, the way peers and parents respond can affect whether these behaviors get better or worse. 5. Punishment is the best way to correct behavior. Research has shown that punishing behaviors associated with ODD does not help. In fact, harsh discipline is a risk factor for developing the condition. Inconsistent, severe punishment often leads to worse behavior. Experts also agree sending children to camps or retreats for “problem children” is unhelpful. Finding the best way to discipline a child with ODD can be challenging. Strategies for parents of children with ODD include parent-management training, which teaches ways to positively respond to and discipline inappropriate and disruptive behavior. 6. ODD is impossible to treat. Expecting the behavior of individuals with ODD to improve is pointless. ODD is very treatable. More than 65% of children with ODD see their symptoms go away in 3 years or less. It’s recommended that parents and teachers who note disruptive behavior consider underlying conditions instead of simply punishing or ignoring the child. Treating children as if they’ll never improve can become a self-fulfilling prophecy. Children who are written off may doubt themselves or believe no one cares. As a result, they may be unmotivated to work on behavior, which may become worse. When working with a child or young adult who has ODD, patience and compassion are key factors. It’s important to show children they’re loved and accepted, no matter how they act. Start here to find a licensed and compassionate therapist in your area who can help you, your family, or a loved one work through ODD and any co-occurring issues.